What keeps buyers from purchasing new construction homes? 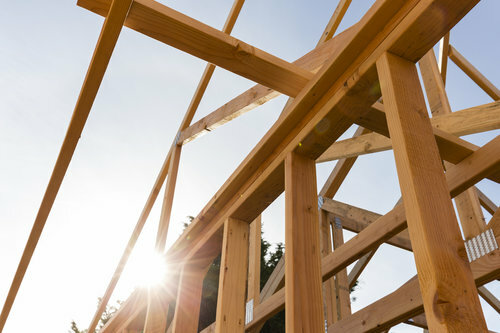 New construction homes continue to attract buyers as 38 percent of total buyers considered buying a newly constructed home over the past year, according to a report released by Zillow Group. However, only 11 percent purchased one. What has caused this disconnect? And how can developers ensure that they are providing the right options for today’s homebuyers? Zillow found that the four biggest deal breakers were location, timing, price and appeal. Respondents reported there were no new construction homes in their desired neighborhood. For others, they felt new construction homes have no charm or character — feeling too “cookie cutter.” Buyers tended to be at the end of their lease or sale of their previous property. Furthermore, interested buyers found base prices deceiving: Buyers reported that HOA fees and new construction fees greatly influenced their decision. New construction buyers were also willing to move to find their new home. More than half of respondents said they were willing to move to a different city, state or country to get what they want. However, many try to stay in the same city or state, with nearly two-thirds of respondents said they moved to a different neighborhood or a different city. Neighborhood safety was the highest priority with nearly 90 percent of new construction buyers reported they lived in a safe neighborhood. With the median age of 47, many new homebuyers are getting ready to retire and generally don’t have any children living at home. Commuting to work or school isn’t their biggest priority. For new construction buyers, home characteristics like air conditioning are more important to them than for existing homebuyers. Other important factors were whether the home was within their budget, having their preferred number of bedrooms and floor plan layout to fit their needs and lifestyles. 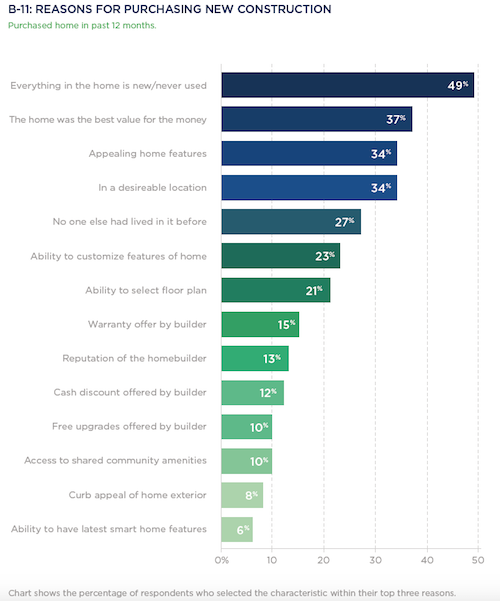 And while smart home features and community amenities continue to be popular among developers, it does not factor highly for more new construction buyers. Having support throughout the sales process is even more important for new construction buyers. Nearly two-thirds (65 percent) of new construction buyers are likely to use an agent in their search. 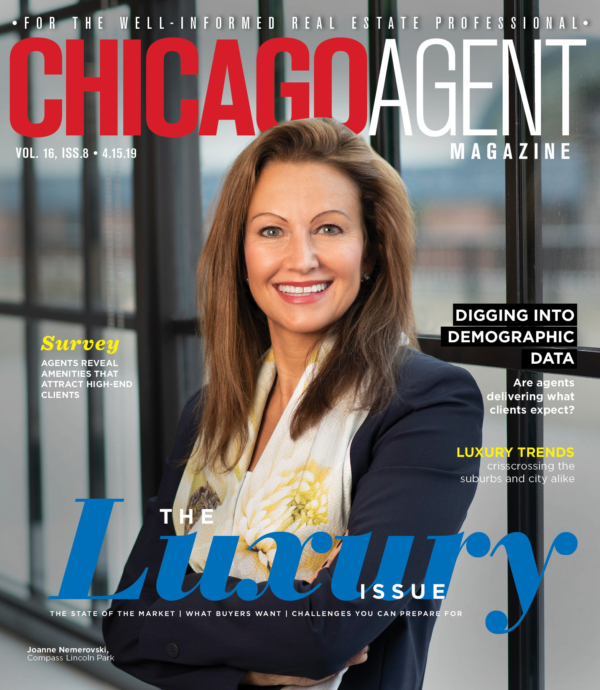 Agents can make their clients happy by setting up a private tour: More than 3 in 4 (77 percent) of new construction buyers consider it very or extremely important to have this experience before purchasing a home. These buyers are significantly more likely to visit a home builder/sales center (60 percent) than existing home buyers (26 percent).